FLORENCE METZGER was married to John S. Metzger, who was City Clerk and twice Mayor. They had four children, all of whom worked actively in the Church. 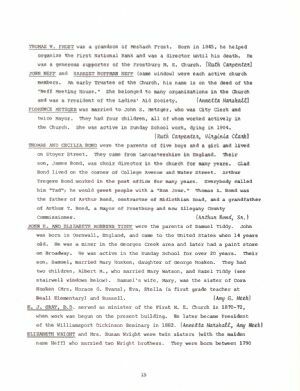 She was active in Sunday School work, dying in 1904.